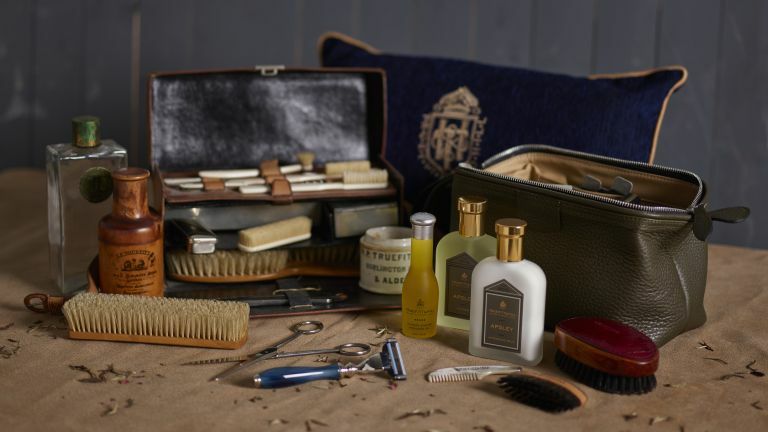 When you're travelling it can be difficult to keep on top of your grooming routine, but Truefitt & Hill's travel range aims to make it just that little bit easier. From city breaks and ski trips to beach holidays and hiking trips, Truefitt & Hill's contemporary range of travel sized colognes, aftershave balms, shaving creams and disposable razors are the perfect companions for you. Haven't heard of Truefitt & Hill before? We've covered the brand's shaving products on the site before. It's a small barbers nestled between the gentlemen’s clubs of St James’s Street, and is considered the world’s oldest barbershop. It lists Lord Byron, Oscar Wilde, Sir Winston Churchill, Alfred Hitchcock, Fred Astaire and Cary Grant among its clientele. You can stay looking sharp with the 5-piece hand-made manicure set, which includes, cuticle nail scissors, precision nail clippers, a nail file, tweezers and a pocket knife. The brand also sells disposable travel razors which are modelled on their traditional hand-made razors. The disposable travel razors feature a triple bladed head, and can be paired with T&H's travel-sized shaving creams, balms and oils. Of course, you have to pack everything inside "The Expandable Wash-bag". The compact leather case measures 232mm by 105mm, and is the ideal travel container for your grooming supplies and accessories. It's available in four traditional colours, but we'd suggest you go with green. All products are available at Truefitt & Hill's barbershop (71 St James’s Street, London), or the brand's website.